Among composers, women are still in the minority. 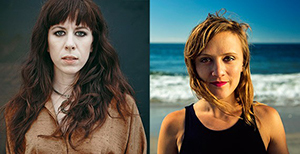 To address the ssue, in 2016 composers Missy Mazzoli and Ellen Reid launched the Luna Composition Lab. There are other opportunities for women composers in or at the cusp of the profession, but Luna is designed for the young—eighth graders through rising college freshman. “We believe this is a problem that begins early in one’s career: Young women in their teens have few female composer role models, and are, in both direct and subtle ways, discouraged from entering the field,” says Mazzoli. Working with the Kaufman Music Center’s Face the Music, a well-regarded youth orchestra that focuses on new works, Luna Lab is a one-year, by-application program that provides opportunities for performance, recording, and one-on-one mentorship and lessons with established women composers. Mazzoli and Reid have also recruited composers Reena Esmail and Kristin Kuster, to provide additional counsel and expertise. Together, they hope to close the compositional gender gap. Mazzoli has received wide acclaim, including that for her most recent piece Breaking the Waves, based on the Lars von Trier film and given its world premiere in 2016 by Opera Philadelphia. She also directs an all-female ensemble, Victoire, and is on the faculty of the Mannes School of Music at the New School.